It was a British Crown Colony; the ‘Pearl of the Orient’ and a dream-posting for every British serviceman and woman of the day. Nonetheless, when I was posted to Hong Kong for two years in 1983 it came as a shock to the system and an all-out assault on the senses. In those days, the furthest I had travelled was Majorca. The flight, with brief refuelling stop in Abu Dhabi took almost 24 hours. I arrived in the evening and remember looking out of the window of our military-chartered British Caledonian aircraft and seeing the lights of Victoria Harbour beneath us as we landed at Kai Tak airport. As I left the plane I was struck by the heat and humidity of my new home. I spent those two years living in the New Territories, working in Sek Kong and living near the Chinese border, although I routinely visited the bright lights of Kowloon and Hong Kong Island for work and play. I always intended to return to Hong Kong and never quite expected to leave it for over thirty years. It is now of course, a Special Administrative Region of the People’s Republic of China, following the handover of the territory by the British in 1997. This is a pictorial account of my return in April 2016, peppered with comparative photographs taken during my earlier time there. We landed early in the morning at the vast new Hong Kong International Airport on mostly reclaimed land at Chek Lap Kok Island and took a shuttle-bus to our hotel in Tsim Sha Tsui East, Kowloon. I was bewildered by the extent of structural development and found it difficult to orientate myself. It was a short walk to the waterfront at Victoria Harbour. 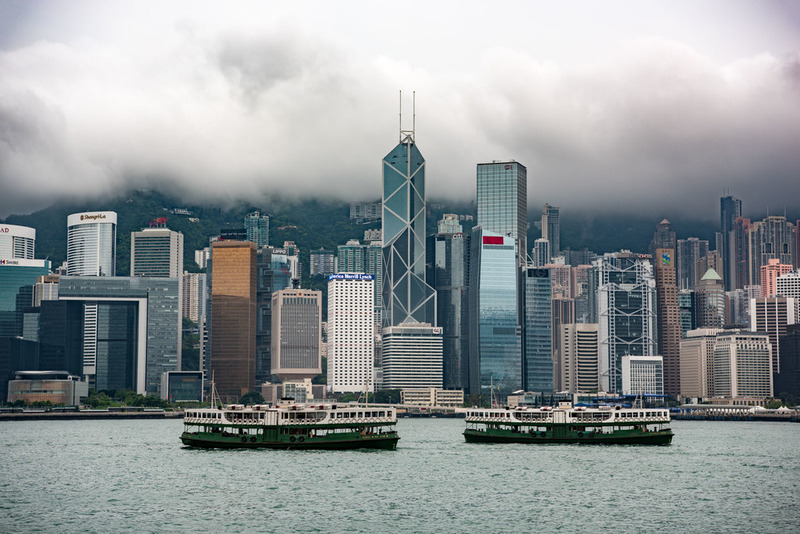 The view across the water to Hong Kong Island has been transformed with modern skyscrapers. The Peoples Liberation Army of China now occupy the former British Forces shore-base, HMS Tamar. 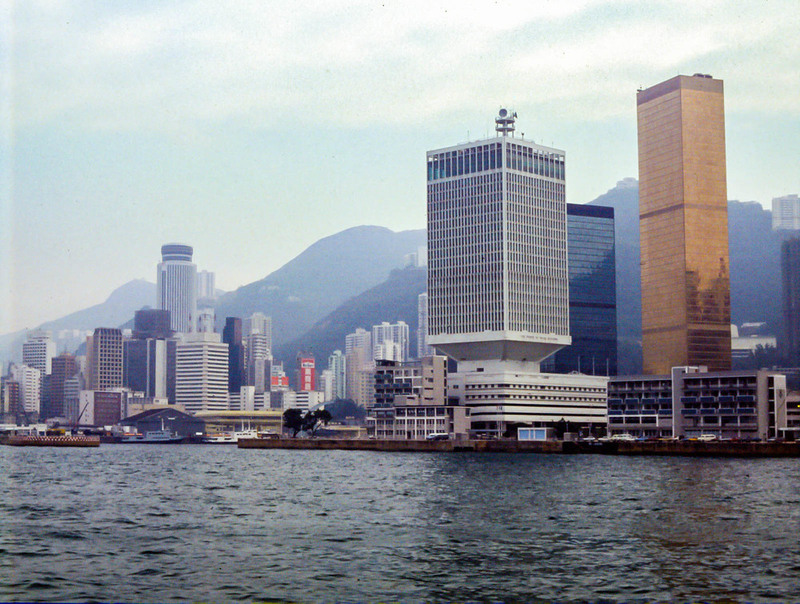 The old Prince of Wales Building now bears the prominent red star of China on the front (see the building behind the left ferry on Ships Passing below) and the waterfront basin on which HMS Tamar sat, has been reclaimed and the building now sits some 400m from the harbour. 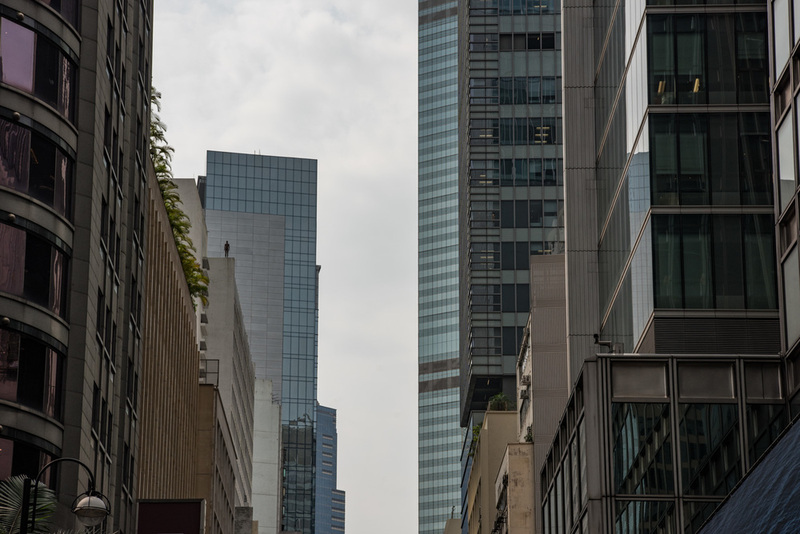 The tallest building in 1985 was the 180m HSBC Bank Headquarters. It is now eclipsed by the 484m, 118 storey International Commerce Centre (ICC) in Kowloon. 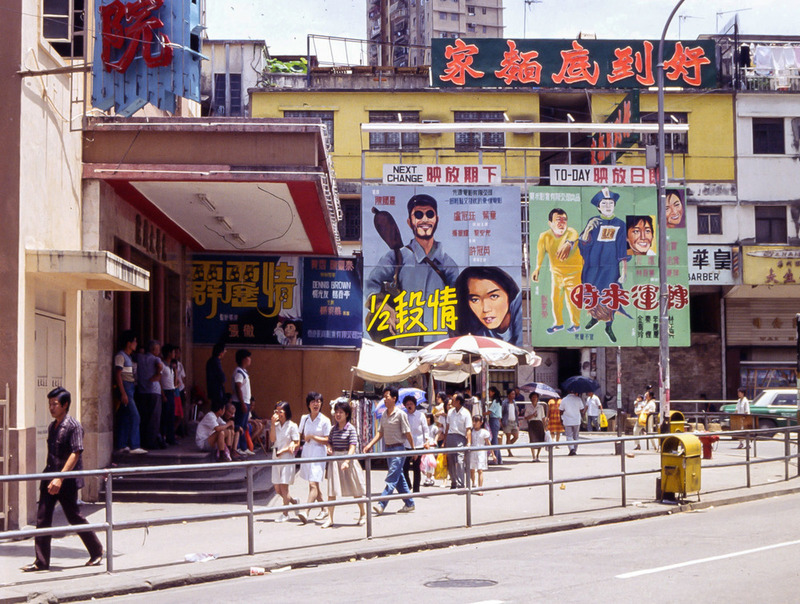 Due to the proximity of the former airport, Kowloon was mostly low-rise in 1983. Nowadays, however, even residential blocks regularly exceed 180m. Each evening, the harbour-front buildings play host to an impressive light and laser show for tourists. I managed, over a few days to re-orientate myself with obligatory tourist visits to Victoria Peak, Sky100 (the viewing deck at the ICC) and an open-top bus ride. The once-bustling streets of seedy Wanchai, made famous by the film, The World of Suzie Wong, were much quieter than I remembered, again hinting at the passage of time and departure of British servicemen from the girlie bars and brothels of the area. The Popeye Bar is now the Cockeye Bar.. presumably some kind of trade-name issue? 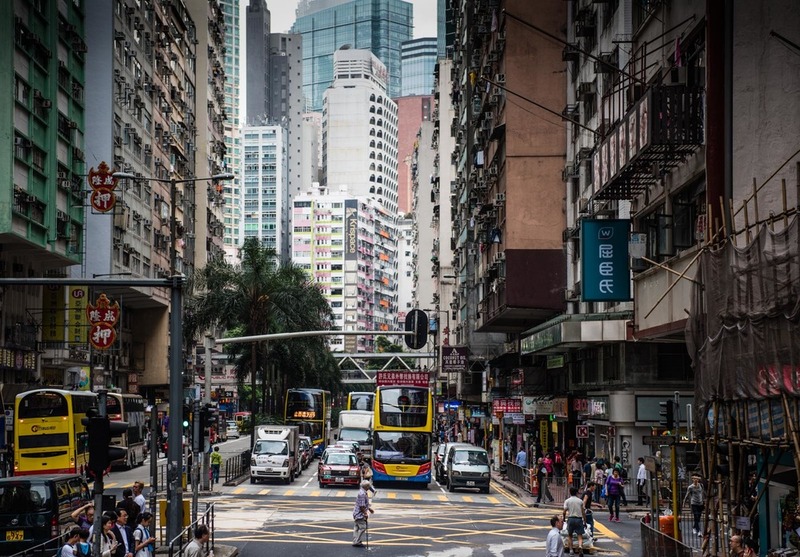 By way of contrast, Lan Kwai Fong in Central district has developed a thriving nightlife and entices expats, local Chinese and tourists alike. I had never even heard of Lan Kwai Fong! From my lofty perch in the Big Bus I was momentarily alarmed, a nanosecond at most - honestly - when I saw a naked man standing at the roofs-edge of a skyscraper. It turned out to be a sculpture by UK artist Antony Gormley (of Angel of the North fame) and one of 31 around the city. They have been criticised for their insensitivity and prompted false-alarm emergency calls to the police. 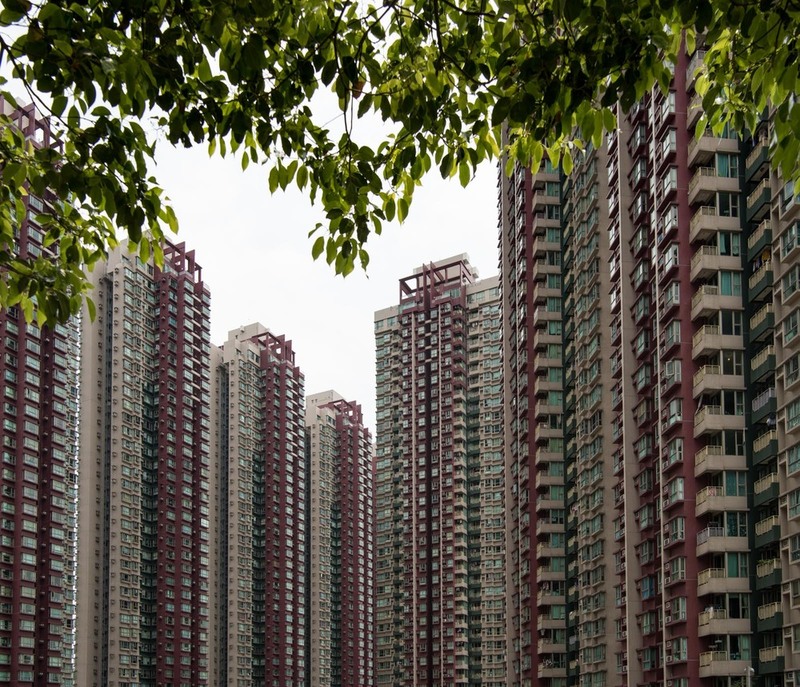 Apparently, about 500 people per annum commit suicide by jumping from Hong Kong’s buildings. I was afforded somewhat more spectacular views from the even loftier perches on Victoria Peak and Sky100. A day wandering the streets of Mong Kok reminded me of my former time here although there was little evidence of the open air markets that gave Hong Kong its ‘fragrant’ reputation and no evidence of ivory being sold openly in shops. Given the continuing illegal slaughter of African elephants, however, the profitable trade obviously continues, hidden from view. The largely triad-controlled and totally unique, Kowloon Walled City was also absent. It was a small, high-crime enclave in north east Kowloon dating back to the late nineteenth century, housing up to 50,000 residents in largely unsanitary conditions. After an arduous eviction process, it was torn down in 1994 and a park now sits in its place. Remarkably, Hong Kong has also undergone something of a cultural revolution. Gone was the pushing and shoving; hawkers on the train with live chickens and people defecating in the street. In its place I found the local people polite, friendly, helpful and well-mannered. Having re-established my bearings and with time to spare, I decided to visit my former workplace and home in the New Territories. I inquired of the tourist information office and the hotel concierge, but no one had even heard of Sek Kong. It appears it is not a popular tourist destination! 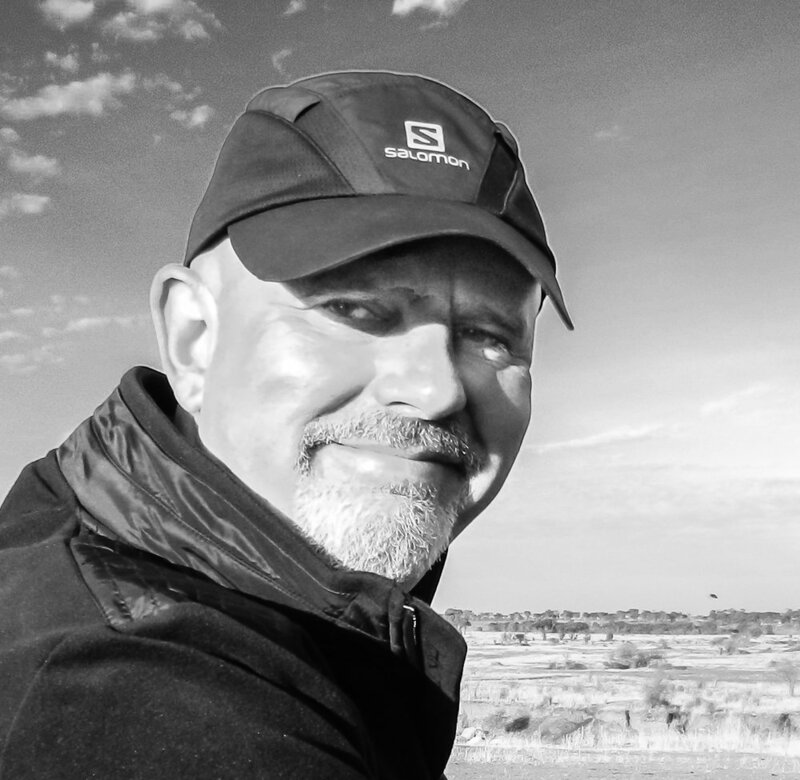 I was given varying and, as it turned out, unhelpful advice about how I might travel there. In the end I resorted to the underground train. I took the Mass Transit Railway (MTR) to Yuen Long, and hired a green taxi (green taxis can only operate in the New Territories and are much cheaper than the region-wide red taxis) to undertake the expedition. In 1983 Yuen Long was a small, uninspiring town with a smelly, open sewer running through its centre. In 2016, we emerged from the MTR to be confronted by a large, modern shopping mall. Yes, even Yuen Long had been transformed. I managed to locate the main Castle Peak Road that ran through the middle of town but was otherwise unable to establish my bearings. The old cinema was long gone. I found a taxi driver prepared to assist me and although he spoke little English, we proceeded uneventfully to Sek Kong Village. The route, formerly lined with rice paddies, had been replaced with car reclamation yards and alloy-wheel depots. I was able to locate several landmarks but was astonished to find the former, pristine military buildings were now unloved and run-down. The ‘new’ residential blocks my close friends had moved into in 1985 were now decaying and derelict. Dills Corner Gardens, my former home, had been transmuted from their former immaculate white-painted exterior to a tired, but shocking, pink. Dills Corner is now a retirement home for locals and due for demolition next year (2017). From a passing place on Route Twisk (so called because it ran from Tsuen Wan Into Sek Kong), I found the viewpoint looking down across my former home in the identical location to one I had used in 1985. The town in the distant background is Shenzen in mainland China and providing evidence of widespread development there as well. Whilst I gazed in awe, the taxi driver and my in-laws had a fag break!